Socialization needs to begin at birth! 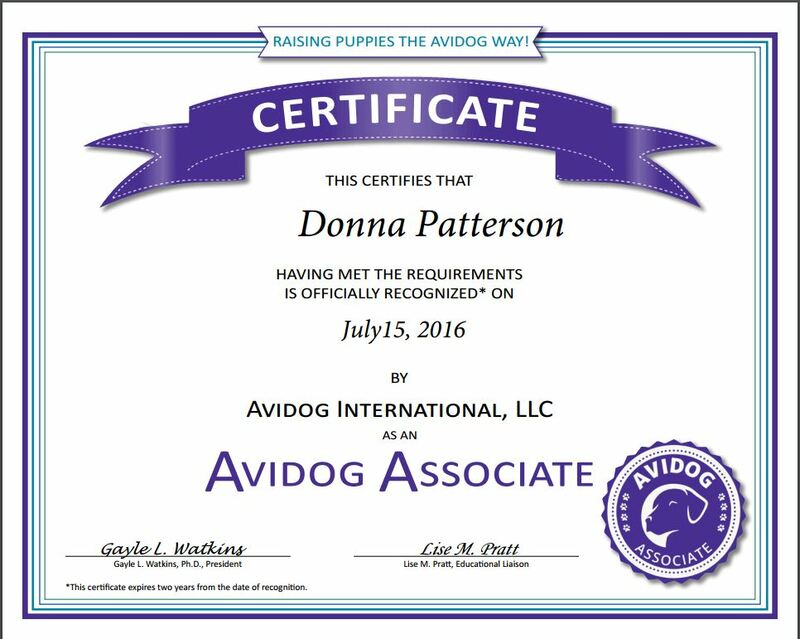 I was introduced to the Avidog program....well I don't really remember when or how I was introduced to the Avidog program. I think I might have been searching for the Adventure Box, and started reading the information and fell in love with the system. 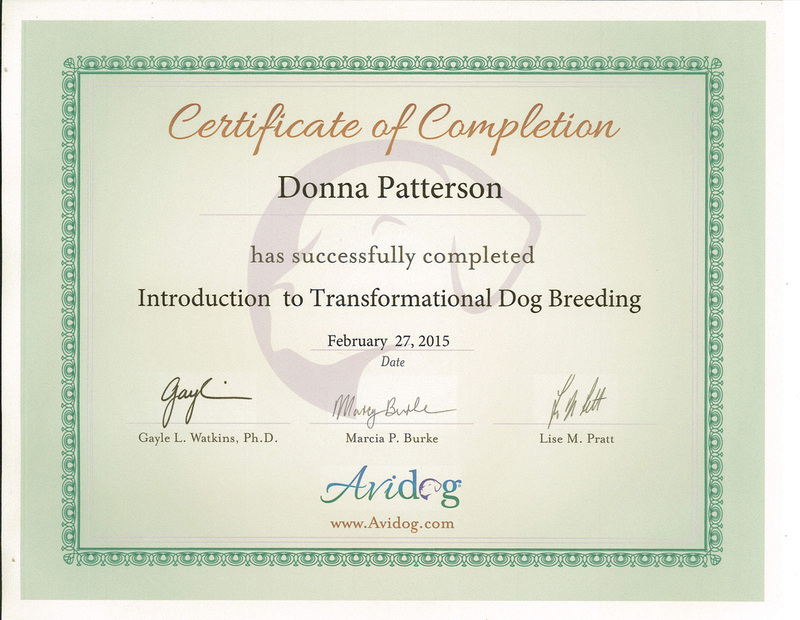 I took the initial course "Introduction to Transformational Breeding". I can only compare it to wanting to find a college course on dog breeding - they don't exist. It's hard to find this kind of information in one place, but the introductory course is like attending 10 different seminars, but at your own pace, without leaving the house. The set up is perfect, with a weekly lesson plan, webinar, study guide, and additional learning resources every week. Throughout this course you are guided through the process of creating breeding goals, establishing a weight measure for each goal so that you can prioritize what is important to you, and the means to get there, plus a system which over time allows you to measure your success. In addition, every week they have an open email session where if you have a question or something that needs clarification you can get access and additional help. Even though it's supposed to be designated hours only, whenever I have a question I just email and they always get right back to me with answers or resources. The whole program involves not only breeding goals and guidelines, but a complete process of socializing puppies from birth until the times they go home to their new homes. Day by day and week by week, what new "ideas" to introduce the puppies to in their socialization process based on what phase of physical development your puppy is going through. So I fell so in love with the first course that I wanted to take the "Your Litter A to Z" because I couldn't wait to get the actual nuts and bolts of their puppy rearing program. ​In my efforts of continuing education I am currently enrolled in the Canine Institute of Biology course Understanding Hip and Elbow Dysplasia. It is an all encompassing curriculum that includes genetics, environment and practical methods at improving odds of hip and elbow displasia. My future litters will benefit from this course. I am willing to invest both my time and money to learn from experts and not just hearsay from other breeders or misinformed philosophies. After completing the Understanding Hip and Elbow Dysplasia (and hopefully learned something along the way), I am now enrolled in the Canine Institute of Biology course Population Genetics. My textbook should arrive today! And I thought I was too old to go back to school.